In the name of the living God + Father, Son, and Holy Spirit. Amen. The land where Jesus lived, the land of Palestine/Israel, consists of the Jordan Valley, which is a little bit green, and rocky hills and dry landforms. Jerusalem was the only city in Jesus’s day, so for the most part, there were no roads. Even the Roman road avoided Jerusalem and crossed the Jordan into Galilee in the northern extreme of the province. The topsoil was thin, and there were always rocks that poked through the topsoil. If you weren’t watching, these obtruding rocks would trip you up. A rock like this was called a skandalon. We get the English word ‘scandal’ from this Greek word. A ‘scandal’ is something, like one of those rocks, that crops up unexpectedly and makes us stumble or fall. A scandal like the child abuse scandals can make us lose faith; we don’t trust the person involved anymore, we feel betrayed and we re-consider what we think of the person’s character. In this morning’s epistle and gospel, scandals are there, but somewhat hidden in the English translation. We hear of ‘obstacles’ to faith. We hear how Jews are stopped from believing because the signs are wrong. Gentiles are stopped from believing because they don’t think Christian preaching measures up to their sophisticated world of philosophy. Or in the original Greek, the lack of proper signs is a skandalon, a scandal for Jews, the lack of wisdom is a skandalon, a scandal for Gentiles. The signs were an obstacle for Jews believing. They indicated the wrong sort of Messiah; the Jews wanted a political or military Messiah, the sign of the cross indicates a Messiah for whom love and forgiveness were the winning combination, not defeat of the Romans and the unity of the Jewish nation. The Gentiles looked for wisdom, the sort of wisdom they found in debates and complex philosophy. We know that the New Testament has depths of interpretation and meaning, but the Gentiles at the time heard only a simple and direct preaching of the cross. Having tripped up on the issue of philosophy, the Gentiles then found other factors to be scandalised about. Christians appealed to the poor and weak, not to the masters and house-holders and the powerful. How could that make sense in a patriarchal world where the more power you had the wiser you were, and the wiser you were the more powerful? Women and slaves and children had little power. They could not possibly be wise, could they? So the question Paul poses to us 2,000 years later is this: what is skandalon for us? What crops up unexpectedly to prevent you from believing, or believing more fully? For you, it could be – I know it is for some people – that the cross is a scandal. If Jesus was exterminated like a criminal, wasn’t that losing rather than winning? For you it could be, as it is for some people, that the cross is ugly, that Jesus’s people, tax-collectors and prostitutes, are not proper advertisements for God. What obstacle do you trip over? Let us turn to Mark’s Gospel where Jesus paints a picture of sin creating a skandalon. If your hand is a skandalon, cut it off. We don’t need much imagination to envisage our hand becoming a scandal; imagine the sins we can do with our hands – theft, murder, assault, fiddling our tax returns. Perhaps we have to think a little harder to imagine our eye becoming a scandal, but we know from other things Jesus said that it is not only what we look at, but how we look, that can be a scandal, an obstacle to our faith. Looking at others’ spouses sexually, with lust, looking at valuable property enviously, in other words using our eye to desire things that if we possessed them would be harmful to others and ruin ourselves – that can become a scandal. But what is this second sort of skandalon? This is not being tripped up by our wrong expectations; this is being tripped up by our own sinful actions. Imagine someone using his hand to enter fraudulent details on the internet, then he feels guilty for stealing. He is tripped up looking at himself as a thief, as a sinner, as guilty. Uh-oh! He should cut off his hand, perhaps by restricting his internet access, then repent, repay the money and re-consider his desire to be ahead in money or material things. Otherwise he will slide into a hell of self-recrimination, self-loathing and become so self-absorbed that he is unable to be in relationship with others. The path to ruin is too easy a story to write. Jesus makes us squirm by compelling us to ask ourselves what we trip over with the actions of our hand and our eye. What ruinous actions could be our obstacles to faith? The gospel today gives three remedies for skandalon; three prescriptions for removing these obstacles to faith. The first is accepting a cup of water because of our faith. If we can’t be kind to others, Jesus suggests we reflect on the kindness of others to us. What does that mean? How does that recall us to our Christian standards and believing? What does their kindness say about the possibility of Christ working through that person, and through ourselves? The second is a little strange on the surface. Jesus says, ‘Have salt in yourselves.’ Don’t lose your saltiness. There is a cluster of good things, like salt, that we should take into ourselves that will restore us to faith. Recall the fire, the sharp burning taste, that is in salt. Allow the fire of appropriate criticism to burn away our inclination to turn away from God. It may be a member of your family or a stranger in the street, but when someone criticises our actions, we should welcome it as from God himself. Secondly, let the strangeness of the Gospel change us. We say we are trying to be more like Christ. The implication is that if we hear something in the Gospel or in the words of other Christians that seem strange, that may well be because it points to unfamiliar characteristics, unfamiliar because it is not yet part of us, but is part of the Gospel. Welcome the strangeness of the Gospel. Thirdly, a little sprinkle of salt affects the taste of the whole meal. Let the Gospel spread through the whole of your life so that every aspect reflects the love of God. Last Thursday we celebrated the Feast of Saint Francis of Assisi, a hero and mentor of mine. Francis grew up thinking the church then, 800 years ago, was a scandal. Its main focus was wealth and the power needed to protect that wealth. For example, there was a large Benedictine monastery up the hill from Assisi. When Benedictine property anywhere in the region was threatened, the monks would down their farming tools, their hoes and scythes, and pick up swords. Even the Pope had a large and busy army. As a cloth merchant, Francis had experienced firsthand how bishops loved the finest cloth for their vestments! Many of the clergy were squeezing peasants for land rents and whatever other corruption with which they could enrich themselves. The church then was a scandal. St Francis did three things: firstly, he embraced poverty as a way of life. This meant for him that he constantly experienced the generosity of others. Francis believed that when he experienced people’s generosity he was experiencing God’s generosity through them. eccentric dress to over-the-top acted parables, like spinning at a crossroads until you were dizzy to decide which way ahead. But there was gospel in his madness. In dressing down like the worst beggar, Francis reminds us of our constant concern about our appearance and what it says about ourselves. Not necessary in God’s kingdom. In spinning at a crossroads for direction, Francis reminds us how little control we have over our own decisions. For him this points to the need for greater and greater trust in God. Thirdly Francis was constantly doing little random acts of kindness, bidding people peace, smiling, listening, leaving behind little scraps of gospel wherever he walked, salting the world with hints of Jesus. Allow the kindness of others to reveal Christ; and when other criticise, let that reveal Christ too. Scatter little signs of gospel everywhere we go. These are the ways to peace with God and with each other. at the Blessing of the Pets. In the name of + the living God, Father, the Son and the Holy Spirit. You are very welcome to this service. Thanks for bringing your owners with you. I hope you enjoy being here with other animals, and you don’t find that Labrador too big, or that cat too smelly! There’s a wild story about Saint Francis of Assisi, preaching and birds. Today we mark St Francis’ day, technically on October 4, and this saint, who lived 800 years ago, has a large part in our hearts. We like him partly because he seemed to have a special rapport with you animals. The story starts with Saint Francis preaching. Saint Francis had a beautiful voice. In fact, one of the brothers, who used to be known for his elegant, resonant beautiful speaking voice, thought he was the best speaker in Italy, until he heard Saint Francis and was so spell-bound he joined the Brothers. But on this occasion Francis was having trouble. A group a swallows was making a racket. ‘Little Sisters,’ St Francis said, ‘no-one can hear the words of the Gospel because of your noise. Please be quiet until I have finished my sermon.’ And they were. And so were the people. They were so moved that they wanted to follow him, leave their town, and become wandering preachers like him. ‘Don’t be in a hurry,’ St Francis, ‘and don’t leave, and I’ll arrange everything for your life with God.’ So St Francis set up the Third Order, which consists of Christians who want St Francis as their guide in Christian living, but who, unlike the Brothers, live in their own homes and get married. This Third Order still exists. My wife Rae and I are members of it. But after this sermon, St Francis set out on the road again. He saw ahead of him a vast throng of birds. There were thousands of birds, maybe tens of thousands, more than you could count, maybe more that you could make with computer graphics. In any case Francis was impressed with such a mob of birds. The birds then opened their beaks and stretched their necks and reverently bent their heads to the ground. Their singing and movement showed St Francis how much they’d understood. St Francis then made the sign of the Cross and let them leave. They followed the Cross Francis had signed. Some went to the north, some to the south, others to the west, the rest to the east. They sang magnificent songs, marvellous songs, as they flew off. The birds set an example to us, to live according to the Cross of Christ, and to go in every direction, thanking God that we depend only on him, like the birds, trusting God to provide enough for each day, and singing our beautiful song, the song that tells the story of Jesus. Our beautiful song is our song, our own song. There’s a legend about an African tribe that says a pregnant woman listens to the child in the womb and learns a song that is unique to that child. She teaches the father-to-be the song, then she teaches the midwives who sing it as the child is born. As the child grows up, each time the child falls and hurts herself, the village gathers around and sings her song. When she does something wrong as an adult, she is brought face to face with those she has wronged, the villagers form a circle around her and sing her song. The song is sung at the person’s funeral, and then is never heard again. Our own song: one that our loved ones sing when we need healing or restoring. Wouldn’t it be wonderful? The song each bird sang as it flew in one of the directions of the Cross was its own individual song. At the same time, each song fitted in with the songs of all the other birds. It was in close harmony with the song of the community. In the same way, our own song with its individual story of God with us, with each of us, harmonises with the song of the community with its story of Jesus who came among us to share love. we can remember a time in particular when we forgave another, or when we were forgiven even though we were filled with shame and remorse. I’m now going to make the sign of the Cross over you, and your owners can watch. When you leave, at the end of the service, you can go in the direction of the Cross that is your path, thanking God for God’s provision for you, and continue loving and forgiving your humans. As you go, go singing your wonderful song. + As you go to the north, or to the south, or to the west, or to the east, do not be guilty of the sin of ingratitude, but travel with God’s love and with your song. Amen. Author Ted WithamPosted on October 2, 2016 Categories SermonTags birds, Christian living, joy, preaching to the birds, Saint Francis of Assisi1 Comment on Christian bird song? I’d like to introduce you to two women I’ve been spending a lot of time with lately. Two women who wore the whole armour of God in very different ways. They are the Australian musician Dorothea Angus and the founder of the Little Sisters of the Poor, Frenchwoman Jeanne Jugan. I am researching both women and writing feature articles on each, hopefully to get them published in suitable magazines. 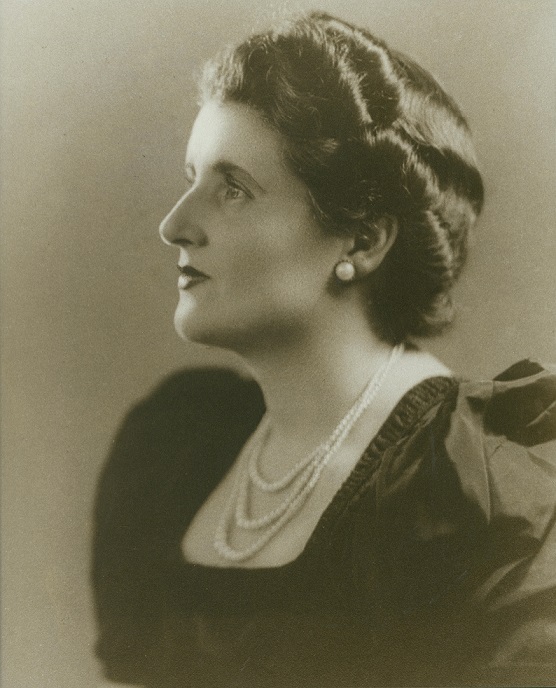 Dorothea was British-born but came to Adelaide with her parents when she was six just after World War I. She got a scholarship to study piano at the Elder Conservatorium, probably enrolling in 1928 alongside Miriam Hyde, who turned out to be a famous composer. The classmates made a pact to swap their new compositions with each other every year; and they kept to this pact for decades. Dorothea made more than 250 broadcasts and recordings on the ABC, and many of them were pieces by Miriam Hyde. Dorothea’s piano teacher, Brewster Jones, died, and her scholarship ended. Her new teacher was the noted organist John Horner. Under his tutelage, Dorothea fell in love with the organ, and in 1938 was giving recitals in Adelaide and Sydney and enthusiastically received as ‘Australia’s top organist’. But getting a job was harder. Now the organist at St Peter’s was J.M. Dunn who had been Cathedral organist since 1891 – a run of 45 years! The year Dorothea was appointed to the staff Mr Dunn died. His assistant Canon Horace Percy Finnis became the new organist. But this priest was also the Precentor and Bishop’s Vicar. It’s not hard to imagine the talented Dorothea, frequently, but anonymously, being called to the organ keyboard, or to lead choir practice, and for Canon Finnis to take all the credit. In any case, Dorothea’s mentor, John Horner, was on a visit to Perth, and heard that Perth College was looking for someone to play the organ for Chapel and to teach all the music in the school, and he persuaded the Principal, Sister Rosalie and Archbishop LeFanu that Dorothea was the right person for the job. Dorothea arrived in 1938 and found the music at Perth College to be chaotic and was desperate to go back to Adelaide. Two things stopped her: the coming war, and a growing friendship with Sister Rosalie. This was a friendship of opposites: Dorothea was always stylishly and fashionably turned out, Sister Rosalie was an old-fashioned Anglican nun always in habit with veil and wimple. Sister would often slip into the Studio late in the afternoon while Dorothea practised and sit quietly in a corner. The two women had big personalities and big ambitions. From my interactions with Dorothea, I imagine they talked about faith in an energetic and purposeful way. Dorothea was always a little prickly; always ready to take down an opponent in argument. Later on in life, she was sick in hospital, and I visited her. As soon as she caught sight of my collar across the ward, she yelled, ‘I don’t want a stupid priest. I’m not dead.’ I enjoyed the banter. But it was sad that such a talented woman had put up such a defensive shell around her, an armour that was not really the armour of God, but armour that came from being so hurt by the church that she dared not let it happen again. In her forties, she was sharing a house with two other woman in the beginnings of a prayer community. One day Jeanne found an elderly blind woman and brought her back home. She carried her up the steep spiral stairs to their apartment and gave the old woman her bed. Jeanne slept in the attic. She had discovered the work she was called to do: in community care for the elderly who would otherwise be on their own. To support this ministry, Jeanne took a basket and began walking and begging money for her elderly people. People responded to Jeanne’s request by giving generously. The work grew. In only three or four years, they had opened several houses around Brittany. Women were being attracted to be part of this ministry. The three founding women were working out a Rule of Life for their little community. A shiny new parish priest Auguste le Pailleur arrived in their village. He became spiritual director to the other two women. When the Rule of Life, which was partly a Constitution, was put into action, there was an election for Superior. Jeanne Jugan was elected without question. She was in everyone’s mind the one who had started this work. Father le Pailleur used his authority as parish priest and deposed her, and put Marie, one of the other women, in her place. He then had himself declared as sole Founder of the Order. The Sisters acquired a large property for their motherhouse where they could train the large number of young women coming to join. The property was called La Tour. Le Pailleur decreed that Jeanne would no longer go about begging for the order, but would live at La Tour-St Joseph among the postulants and novices, with no rank or recognition. Jeanne stayed there until her death 27 years later. When they had completed their Chapel, the Bishop came and they had a large celebration. After the Mass, the Bishop sat with all the Sisters around him in a large circle. He spoke. Then Father Le Pailleur spoke. He talked about their beginnings. He mentioned all the founding Sisters by name, one by one, all except Jeanne. It was as if she wasn’t there, and had never been there. Only once in that 27 years was there any official recognition of her presence. The Sisters had been given the chance to earn rent from one of their properties. A rich benefactor had warned them that they really needed to make up their mind about this because their identity depended on it. The Sisters were divided. Some argued that the rents were God’s way of making sure they were provided for. Others believed that if they came to rely on rents they would forget that they were dependent every day on God. Someone remembered Jeanne Jugan in the novice house. They called her to the meeting, even though she wasn’t formally part of the council; she hadn’t even formally been professed as a full member of her own Order. They gave Jeanne the casting vote, and her signature appears on that one document. Significantly Father le Pailleur’s signature is not on that document. Then Jeanne returned to the novice house. Those who remembered Jeanne afterwards remember an old tall peasant women with piercing blue eyes. They remember how joyful she was. They remembered how she joined in their work and their recreation. They remembered the advice she gave them about being ‘little’: if they were going to be of real help to the old people in their care, they had to be genuinely little with the little people, not be ladies condescending to do good. In her forced retirement, being pushed away into the ranks of the least important members of the Order, Jeanne discovered how to put on the whole armour of God. She refused to be bitter, as most of us would be tempted to. Instead, she went into that silence, that withdrawal, to find God, to find joy. Then, with a twinkle in her eye, she discovered she was actually in a position to pass on her values to every new member of the Order as they came through the Novice house. She died on St Joseph’s Day 1879, which was also Father le Pailleur’s feast day, so there was no announcement of her death. The next day, Father le Pailleur sent out a circular letter to all the houses of the Little Sisters of the Poor, thanking them for their good wishes and congratulations on his feast day. There was no mention of the death of the Founder of the Order. The story does end well. The villain of the piece, Auguste le Pailleur, was eventually removed from his position as Superior and sent to a convent in Rome for the rest of his days. One wonders whether he found the same joy in his forced confinement as Jeanne had in hers. Jeanne was recognised by 1902 as the Founder and first Sister of the Order. She was beatified by Pope John Paul II in 1982 and Pope Benedict made her a Saint in 2009. You and I are unlikely to be beatified and canonised. We are the wrong denomination, for a start. But Jeanne Jugan reminds us to use the whole armour of God not as a defence against the world, but as a way of turning the world’s attacks into new opportunities for being close to God. Sermon for the Fifth Sunday in Lent 2015 St George’s, Dunsborough Gospel: John 12:20-33 ⊕ Some weeks ago, a friend emailed to say that his dear friend had been diagnosed with breast cancer. I could tell this story dishonestly and say that I prayed for his friend and the tumour turned out to be benign, and we gave thanks to God. Those facts happen to be true; but actually what he asked me was not to pray from him and his friend, but, “What is prayer?” That’s a much harder question. Especially as we know that many times, most times, we pray for someone to be healed, and it doesn’t happen, or it doesn’t happen the way we expect. We don’t need much experience in prayer to learn that God is not some kind of cosmic Santa Claus granting our wishes just because we ask. In fact, it would be a little scary if our prayers caused anything to happen. If there was any cause behind the fact that our friend’s tumour was not life-threatening, apart from random cell growth, that cause is God, not our prayers. God heals, not our prayers. We don’t begin to know what to ask. We do learn that sometimes we batter on heaven’s door for a healing and God does not seem to answer. We also learn that sometimes God surprises with a healing that is unexpected and even un-prayed for. Jean Vanier is the founder of l’Arche communities where the mentally disabled live in community with the able. He tells the story of the parent s of Vincent, a mentally disabled boy in Bangladesh. The parents felt great pain because of their son’s disability. They prayed and prayed that God would heal him. They were surprised when God answered their prayer – but not in the way they expected. They changed, not Vincent. They discovered they were more compassionate. They discovered that God had given them more strength to care for Vincent. They saw Vincent in a new light, as a loving son. They had buried his delightful personality by thinking of him as a problem, as a disability, and not a person. But we do want prayer to fix things. People with too much time on their hands have set up scientific experiments trying to show whether prayer works. In one experiment, they prayed anonymously for some patients recovering from heart surgery and not others to see whether their healing was fast-tracked. The results were inconclusive. Other scenarios have been tried, but prayer remains stubbornly inaccessible to science. You can’t prove one way or the other. The data is too vague. We Christians persist in praying. And this morning’s Gospel reading gives five indications why we pray and what prayer is. In prayer we follow Jesus. In prayer we recognise with Jesus that we live in a broken world. In prayer we offer ourselves in solidarity and love, as Jesus did. With Jesus we lose ourselves in the situations of others, hoping that our self-giving will bring transformation and life. Prayer is an intention to serve the need of others. Jesus does not see the world with rose-coloured glasses. He invites us, like him, to see the world as it is, a broken place. He gives us the strength to look steadily at its reality: not to look away from the friend with cancer, or the child with a mental disability, or the world at war, or the greed of corporations making the homeless hungry and Africans in the Congo desperate. We do live in a world where our children leave us for the Eastern States or overseas, and where the friends who we thought loved us the most betray us – like Judas. We can look at it all. Not to be overwhelmed by it, but to see it as Christ does, and still love it. The key word for me is solidarity. We give away our selves. In other words, we stop worrying about our needs. We stop putting ourselves at the top of the list of people to be served. We offer our own time and energy and strength in solidarity with the one in need. Often we cannot do more than hold out our heart in solidarity. Because of distance, or other practicality, there may be nothing more we can do. But our heart is powerful. When we when we hold out our heart to the one in need, when that is our prayer, we find Christ also standing there in solidarity with the one in need. That mutual solidarity can transform even the most hopeless of situations, even though, like Vincent’s parents, we cannot tell in advance what form that transformation will take. There will be times when, in the strength of Christ, we offer not only our heart, but our practical help. So when I pray, I should be looking not to get God to do something, but looking for something I, and often only I, can do. My prayers often turn into cards and words. Sometimes they become phone calls, conversations in which I may have some particular knowledge or insight, or just share the load over a cup of tea. Sometimes they turn into Betadine on a scratched knee, or a letter to a politician, or a referral to a physiotherapist who has soothed the pain in my back and might do the same for the one in need. But in reality, those practical things are a small part of prayer. They are the tip of an iceberg. The main part of prayer – the nine-tenths that is mystery, that is hard to see – is the offer of solidarity, the sharing of love. We pray because, as Christ’s people, we can’t help expressing love. Real love involves letting go of our ego – losing our life for Christ’s sake, and standing in solidarity with Christ and the one in need. The end result of dying and rising with Christ is service, a life of service, and prayer means letting our selfish needs go so we can be transformed to serve. Prayer is a way of loving the one in need, and meaning it, and discovering the living Christ in that space also loving you and the one in need. What transformation can come from that! Books have been filled trying to answer the question my friends asked, ‘What is Prayer?’ I would encourage you: keep praying. Keep gazing on this broken world. Keep looking for ways to love it. Keep sharing your heart. You will continue to be surprised by Christ loving the world alongside you, and turning your tiny seed of love into a flowering of sharing and solidarity. Author Ted WithamPosted on March 21, 2015 April 21, 2015 Categories SermonTags Jean Vanier, l'Arche communities, prayer, St George's DunsboroughLeave a comment on What is Prayer (I)? There have been Christians in Iraq since the earliest times, probably as long as, or even longer than there have been Christians in Syria. The Iraqi Christian community may be the oldest continuous Christian community in the world. In recent years, their numbers have been decimated. In 1987, there were 1.4 million or about 8% of the population. We should not have been surprised that Tariq Aziz, Saddam’s Deputy Prime Minister, was a Christian. By 2010, the number had dropped to between 200,000 and 400,000. The terror group calling itself Islamic State in Syria and the Levant has reduced the number of Christians even further; and, it should be said, the number of Yezidi, and Shia Muslims, and even Sunni Muslims who are not intense enough in their beliefs, all have been reduced by ISIL. ISIL proclaimed its “caliphate” in Mosul just across the river from the ruins of Nineveh, and made its destructive presence felt not only in beheadings and mass executions but also by blowing up Jonah’s tomb, not because they had anything against Jonah, who is also a prophet in Islam, but because their brand of fundamentalism worries that people might worship the shrine instead of the God to whom it is dedicated. Even so it’s not immediately obvious why Jonah is an exemplary prophet. The rabbis debated as to whether Jonah should be included in the Bible, and many Protestant scholars regard him as a failed prophet. His story is told as a four chapter novella – a fictional form. Whether there’s history or not behind the story is your judgement call. In the first chapter, God told Jonah to go and proclaim to Nineveh, the largest city in the world. Go to New Delhi; or go to Shanghai; go to Nineveh. But Jonah booked a passage for Tarshish. That’s like buying a ticket for South America. He headed as far as possible in the opposite direction. Then “the Lord hurled a powerful wind on the sea. Such a violent tempest arose on the sea that the ship threatened to break up.” (Jonah 1:4) The terrified sailors each cried out to their own gods. Jonah went below and went to sleep. He didn’t help. He didn’t even pray. This storm, he knew, was his doing, and he was still running from responsibility. Eventually the sailors drew lots to discover who was the cause of the storm. Jonah drew the short straw. The sailors questioned Jonah, who then – at last – began to preach. “I worship the Lord, the God of heaven, who made the sea and the dry land” (1:9). This made the sailors more frightened and the storm grew worse and worse until Jonah offered to be thrown overboard. It’s only then that the storm stopped. Many commentators believe that the storm was an internal storm. It was happening in Jonah’s head. It was telling of his emotional state. Denying his responsibility caused turmoil within him. The moment he took responsibility the storm stopped. But he didn’t admit full responsibility. The admission was squeezed out of him. So a further step had to be taken before Jonah was behaving like an adult. As the storm calmed, a big fish swallowed Jonah, and Jonah was in the stomach of the big fish for three days and three nights. Three days and three nights is a significant period in the Bible. One life ends and a new life begins. Sometimes the bible talks about two days, sometimes three days; sometimes it talks about a new life beginning “on the third day”. It all means the same. You can easily get confused with the numbers, just like when you are talking with a travel agent about a travel package – a week’s holiday might be six days. Two days, three days – it depends when you start counting from – but it always signals a transition time. All that was being mulled over in his head, stirred up, with that feeling in the pit of his stomach, unable to see the way ahead, suddenly became calm and light: Jonah could see the way ahead. Much to Jonah’s surprise the people heeded Jonah’s message: they repented. The king, the people, the cattle, the sheep, everyone repented; and so whole-heartedly that God repented too and decided not to destroy the city. “This displeased Jonah terribly and he became very angry.” (4:1) Chapter 4 is wonderful comedy starring the irate Jonah. God appointed a little plant to grow over Jonah and shade his head to rescue him from his misery. And “Jonah rejoiced with great joy” (4:6) over the little plant. But then God sent a worm to destroy the plant. Jonah was furious about the destruction of the plant. God mildly made the point that God was concerned about destroying a mega-city with more than 120,000 people – plus animals – and Jonah was concerned about one plant. If it wasn’t so tragic, Jonah’s story would be funny. Jonah was not at ease in his own skin, he was a prophet who ran away, who was churned up inside about his vocation, and the story reveals what happened when these inner emotions were allowed out. Rather than take responsibility Jonah was quite happy to let a ship full of sailors break up and go down. When he got to Nineveh, he was still a reluctant prophet. He went only one day’s walk into the city. He preached only five words. He pronounced the destruction of an entire city. There’s an old riddle: how do you tell the difference between a liturgist and a terrorist? A liturgist is an expert in how things go in worship, what colour you should use for what season, what vestment you should wear, what gestures you should make. What is the difference between a liturgist and a terrorist? Answer: You can negotiate with a terrorist. The joke is funny only because negotiation is not what terrorists do. They hold to ransom. They demand. They stipulate destruction. Jonah’s job, on the other hand, was to “proclaim”. The difference between “proclaiming” and “stipulating” may be difficult for a fundamentalist to grasp, but for the rest of us, “proclaiming” includes “engaging with”. Jonah was supposed to learn that his task involved discussion, persuasion and responsibility. Instead he contemplated the annihilation of the biggest city in the world. God does not work through mass destruction, whether it is the massacre of journalists in Paris or the beheading of Christians in Iraq. Jonah’s story brings us up short with its perceptive psychology. It’s not really about recruitment for ISIS. It’s about us and how we can be like Jonahs in our own homes and in our own communities. When we’re uncomfortable with ourselves, we can become manipulative and destructive towards others. We blame. We blame God. We blame people who are different. We blame people who are close to us. We confuse our feelings with the world outside. The dark side of Jonah leads me to create a check-list so that I don’t end up like him caring more about the life of one little plant than a whole community. Am I leaving others room to make their own decisions? Am I really taking responsibility for my own actions? Am I acknowledging my changing moods and feelings? Am I really prepared to repent, and to change? Am I open to God so that God’s love can flow through me to others? “No sign will be given this adulterous and sinful generation,” declares Jesus, “except the sign of Jonah.” (Matthew 12:39, 16:4, Luke 11:29). Jesus rescues Jonah’s reputation on two counts. Firstly, Jonah and Jesus both sleep through a raging storm, and then with the stilling of the storm it is revealed who is the Creator of the sea and the wind. Secondly, Jonah’s three days in the big fish, being swallowed at the end of his old life of denial and being disgorged to a new life of obedience, pre-figure the three days Jesus spends in the earth between the crucifixion and the resurrection, entering the tomb a dead man and rising to new life for all people. By that calculation, Jonah is far from being a failed prophet. He’ll go on causing laughter and discussion and leading us into deeper insight into being real before God. St George’s, Dunsborough, Christmastide 2014. In the name of God the Creator, who was born a human being, and lives among us as Spirit. Amen. King Herod would resonate with that sentiment. Mao Tse Tung reportedly killed 45 million people in four years. The records are carefully catalogued in the Public Security Bureau, and researchers can read about the violence Mao ordered and permitted, including deliberately starving the elderly to death because they couldn’t work efficiently. But scholars don’t write critically about Mao: it seems that the Chinese don’t want to face these horrors. From what I understand, people also tried to forget Herod “the Great” as quickly as humanly possible. Stalin, Mao and Herod. Eight children murdered by their mother in Cairns. A siege in Sydney by an unhinged Iranian. The horror of it all seems to have set out to spoil our Christmas. We want Christmas Day and the Twelve Days of Christmas to be Lazy, Hazy Days of Summer without a care, yet, with the Feast of the Holy Innocents, the church sets a trap for us three days after Christmas. Christmas can easily become a fantasy, especially in our consumer-laden culture. People travel hundreds of kilometres to view Christmas lights, and where communities have some success with colour and light one year, householders compete with each other the next year to be brighter and more spectacular than their neighbours. Cummins, a little town on the Eyre Peninsula in South Australia, turns its RSL hall over to a Christmas Wonderland. Carols by Candlelight have become so commercial and so un-focused that I can no longer watch them or join in. These sparkling displays at Christmas empty Christmas of meaning. And I know that conflict, the conflict between Christmas and Yuletide, has been going on for nearly two thousand years, so I’m not going to win that. But I do know that the Feast of the Holy Innocents is a necessary corrective for us each year. It shocks us out of a fantasy Christmas world back into the real world. It points out again where God’s concern is in Christmas: not in the cute superficialities of new babies, but in the pain of child-birth, the challenge of poor families, the survival – or not – of refugee families. God knows the name of each of the boys under two in Bethlehem and the surrounding region who was killed by Herod’s men. God knows the name of each peasant murdered by Ivan the Terrible. God knows by name each of those massacred by Stalin and Mao. God cares for each, as he cares for each of the children killed in Cairns, and weeps over their mother, Mersane Warria. God can name 141 Pakistanis, 132 of them children, less than two weeks ago in a school in Peshawar. · Hamza Ali, 14 years old. Dead. · Farhad Hussain, 15. Dead. · Hamayun Iqbal, 14. Dead. To God, the 141 killed last fortnight and the 41,000 Pakistanis in total killed by terror since 2001 are all beloved individuals. God mourns for the lost lives of Katrina Dawson and Tori Johnson killed in Sydney; and unlike the tabloid press, God does not count Man Haron Monis as monster, but as a human being; he was damaged, disturbed, dangerous and responsible for his crimes; but still of immense value simply because he is a human being, God’s image in him marred and spoiled – as it is in each one of us. So on the third day of Christmas, the church invites us to gaze compassionately on the horrors of the world. It takes courage, and sometimes it’s a little easier when we know that the victims are Holy Innocents. We take seriously that God has taken human flesh, God became man in Christ. This means that he gazes through our eyes. God uses us to see. We are called upon to look with clearer focus; to be able to gaze without flinching on horror, and to allow Christ’s compassion to flow through us. Some rather wonderful things happen when we allow this compassion to gaze through us: it transforms what we see. First of all it turns victims into treasured human beings; we see them not just as people that happened to be in the way, but in Bethlehem as Jacob and Paran’s and Eliab and Naomi’s little boys, or in another massacre as someone’s lover, someone’s daughter, someone’s friend, someone’s father. Secondly, this compassionate gaze shows Herod up for what he is – just a petty angry little man, not deserving the title of king. It shows that his values are bankrupt. We will have to deal with Herod as an individual, or someone does, but he is not the king he claims to be. In this story, we see clearly who is the king, who has the values of strength and love and care for his people – and that is God. The real claimant to the throne, not just of Israel, but of our lives, is revealed. God cares. God is in the midst of the pain and suffering. That is simply a re-statement of the Christmas message that God has come to live among us. Wherever there is pain and suffering, God is in the midst of it. God is in the outpouring of grief in Martin Place. God is in the fierce anger of the Pakistani government and people. God is in the bewilderment of the community in Cairns. This God, the God who cares about our suffering, about our human condition, comes to surprise us at Christmas. There are shepherds and there are wise men. The shepherds struggle. They struggle to make a living looking after the sheep of someone else. They struggle through long shifts in the cold and wet. They are tough, but life is hard. God’s news comes to them first, because God comes to share our struggles. The wise men are learned astrologers. They know what is wondrous and amazing. God’s news comes to them too, because the coming of God as human being to share our suffering is wondrous and amazing. We are not learned astrologers. We need to be told over and over again. God has become a human being and shares our suffering however horrific; and God with us is wondrous. Shepherds and wise men were there on the Third Day of Christmas. Glory to God in the highest!